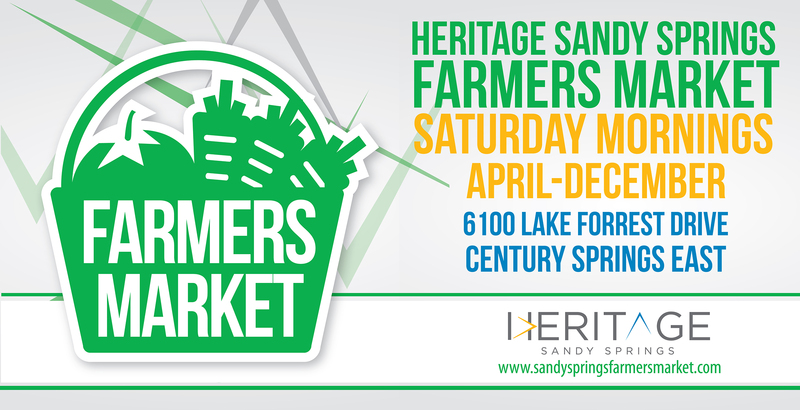 Thank you for your interest in the 2019 Heritage Sandy Springs Farmers Market! Our management team reviews applications and will contact you if we believe there is a good fit between your business and the market. Our goal is always to provide our patrons with a great variety of the highest quality produce, prepared foods, specialty food products, and more. Additionally, we want our current vendors to be successful and therefore limit the number of vendors in any given category. All applications, accepted or declined, are kept on file. There is a $35 application fee for return vendors and a $45 application fee for new weekly vendors. However, you do not need to pay this fee unless you are contacted by market management and accepted as a 2019 market vendor. If accepted, vendor fees are collected at the first market of the month and all regular vendors are expected to pay for the entire month at that time. Fees are dependent on the type of vendor and are available upon request. Please note: the Heritage Sandy Springs Farmers Market is producer-only. If you are a local business and are interested in sponsorship, please contact us at events@heritagesandysprings.org or 404-851-1327. Describe any certifications for your product/practices: Certified Organic, Certified Naturally Grown, etc. Please read the Market Legal Agreement. Check the box at the end before submitting your application. - That the information contained in this Application, and the documents given to the Market Manager, are true and correct and that I will promptly update the Market Manager if any of such information changes. - That the Vendor will only sell the products that are approved by the Market Manager from time to time in its sole discretion. - The Market will be open beginning April 13, 2019, and it is expected that (unless otherwise disclosed to and agreed by Market Manager), that Vendor will participate on a consistent/weekly basis. - All decisions by the Market Manager are final, including space assignments, product approvals, market cancellation policies, dispute resolution and determining Vendor’s ongoing participation in the Market. - The Vendor will at all times maintain required licenses, certifications and insurance as a pre-condition for its participation in the Market. Vendor is an independent contractor/business and specifically acknowledges and agrees that neither the Market shall have any liability to Vendor or with respect to the products sold by Vendor. - Vendor will at all times comply with local, state and federal laws, rules, regulations and guidelines with respect to the products sold by Vendor at the Market. - There is an expectation that Vendors will participate in the Market on a consistent/weekly basis. Vendor further agrees to fully cooperate with Market at all times for the purpose of producing a first-rate, customer-friendly market. The Market may be temporarily or permanently closed at any time at the discretion of the Market Manager. Vendor’s sole recourse in the event of the Market being closed is a refund of any pre-paid weekly fees for the day(s) that the Market is closed. - Vendor will promptly pay all Fees due to the Market as a pre-condition of its ongoing participation. - Vendor agrees to pay the market any fees due in a timely manner. Failure to comply with this policy will result in dismissal from the market. Vendor agrees to participate weekly in the market, unless otherwise specified by market management. Absences without prior notice to and approval by market management will result in dismissal from the market.